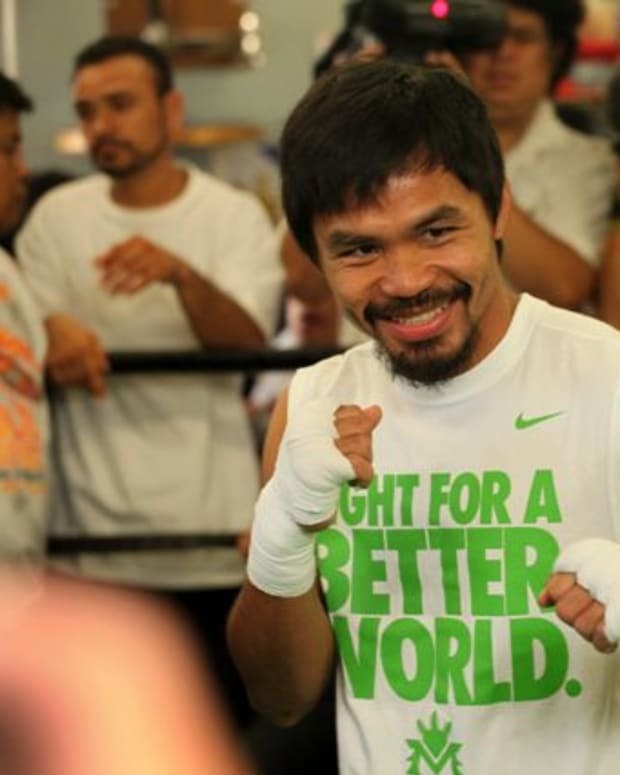 Manny Pacquiao Not Floyd Mayweather’s Preferred Next Opponent? Manny Pacquiao will fight in November of this year, and his next move will sort of depend on what happens with that bout. If he loses to Brandon Rios, especially if he loses in the way he lost to Juan Manuel Marquez last December, then his career is over. Plain and simple. However, if he wins, there are some legitimate questions surrounding what happens after that. On one hand, he could theoretically take on the winner of Marquez vs. Timothy Bradley. But seeing as Marquez is adamant about not granting him a rematch and Pacquiao-Bradley I did awful PPV numbers, neither seems to be a particularly great option. Mike Alvarado is still out there, too, I guess. Still, it goes without saying that the obvious preferred next opponent for Pacquiao, from a business standpoint and purely entertainment position, is Floyd Mayweather Jr.
Coming off his recent victory over Saul ‘Canelo’ Alvarez, Mayweather has proven that he can bring in the PPV sales – when he has a legitimate foe. Against Robert Guerrero, despite countless promos by CBS, Mayweather brought in numbers far below expectations. Don’t think that Showtime has forgotten that. Regardless of what anyone says, Mayweather’s next opponent needs to have brand name recognition amongst casual fans – and nobody has more of that than Pacquiao. 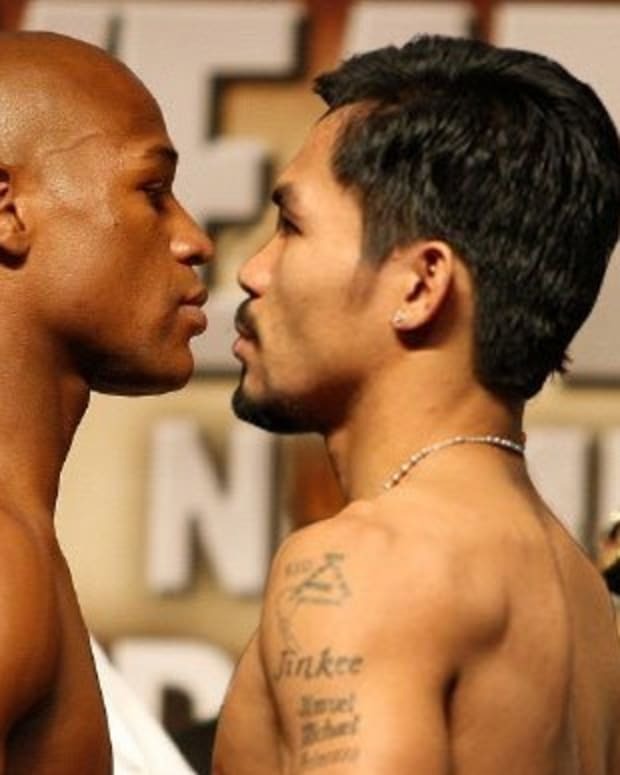 Does that mean Mayweather vs. Pacquiao 2014 is inevitable? Well, not yet. As a matter of fact, just yesterday, The Daily Mail reported that Mayweather was nearing a deal to fight Amir Khan in May of 2014. Khan’s camp quickly came out and refuted those rumors, though, so who knows what to make of it. Here are three key facts to remember: 1.) Mayweather still owes Showtime a lot of fights, 2.) Khan is 26 years old, and 3.) Pacquiao is 34 years old. 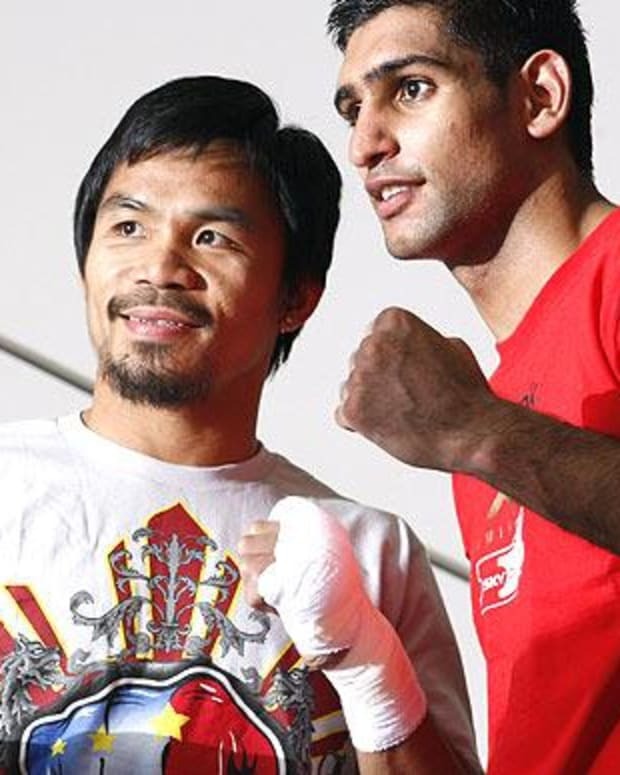 Even if you wanted to make the case that there is the same amount of demand for a Mayweather-Khan fight as there is for a Mayweather-Pacquiao fight (which nobody would), you’d still fight the older guy first because he has less time left in the sport. Or at least you’d think that’s the common sense approach. Based on the rumors floating around now, though, maybe not.